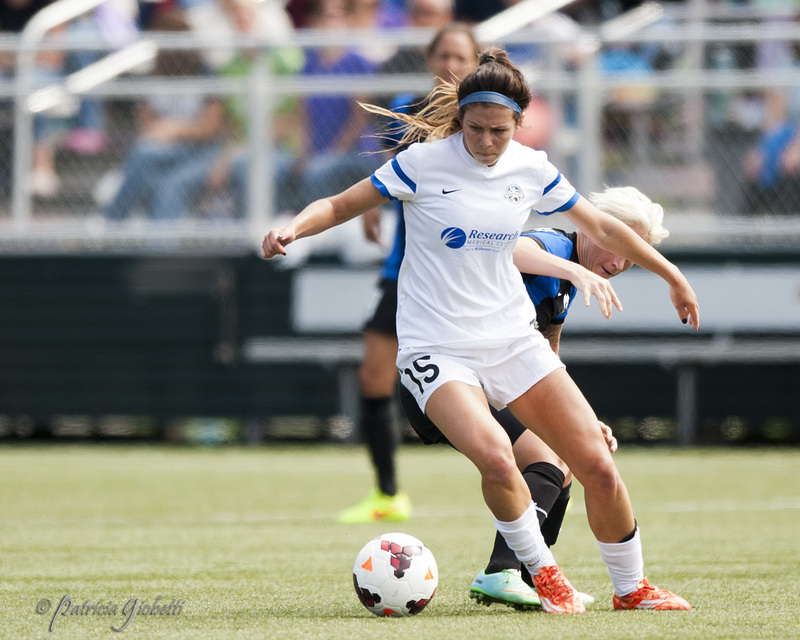 Orlando thought they finally had their first win of the season, but FC Kansas City had other plans. Two late goals led to a 1-1 draw today in Kansas City, leaving Orlando as the only winless team in the league. 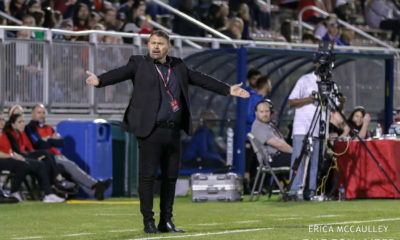 Orlando faced a challenge immediately off the bat, as defensive midfielder Monica went down in a collision within the first minute and had to be subbed off with a possible knee injury. Dani Weatherholt went in in her place. Despite that, they went into a high press and spent much of the first half in Kansas City’s half of the field. 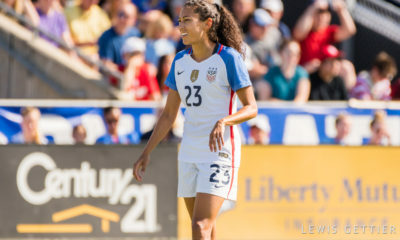 Marta, starting out on the left flank, was very active, sending in several crosses past Brittany Taylor, but Becky Sauerbrunn was as impenetrable as ever, staying strong to break up the final play. Both goalkeepers entered the locker room at halftime having had few true tests. 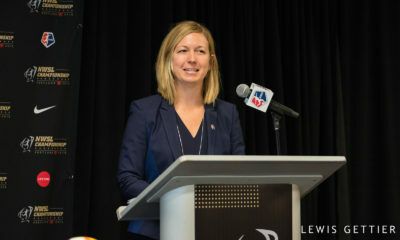 In the 54th minute Kristen Edmonds looked to be in on goal after an Ali Krieger throw-in, but Nicole Barnhart came charging off her line and out of the box to collect the ball with her feet before Edmonds could arrive. She then had to kick it out of bounds under pressure from Edmonds and scramble back to net. 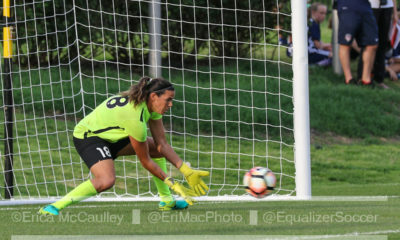 It was then Ashlyn Harris’ turn to be called into action in the 67th minute when she came up huge for a double save. Midfielder Lo’eau LaBonta sent a lofted ball from distance, forcing Harris to backpedal and jump vertically to block the shot. 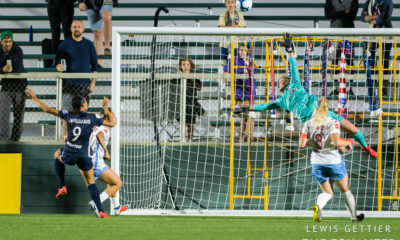 Forward Sydney Leroux caught the rebound at the top of the box and fired a shot at far post, but Harris recovered in time to dive across the face of goal, tipping the ball out for a corner kick. In the moment many fans have been waiting for, Marta scored her first NWSL goal. In the 74th minute, forward Jasmyne Spencer received the ball at the top of the box and neatly laid it off for Marta, who dribbled before turning a firing a shot at near post, somehow slipping past a well-positioned Barnhart. The lead wouldn’t last long, however. Ten minutes later, FCKC was given a free kick just outside the box. Yael Averbuch sent it direct but hit the post. 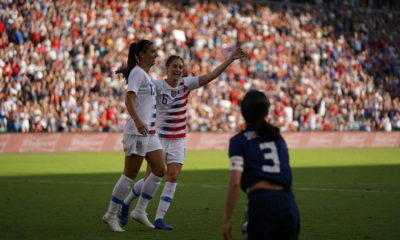 Harris got in the way of one rebound, and amidst chaos in the box and a tangle between Erika Tymrak and Krieger, Tymrak sent it across the line. Although both teams pushed hard in the dying minutes of regular time as well as five minutes of stoppage due to what had become a physical battle leading to several players spending time down on the field, no go-ahead goal was to be found, and they had to settle for a hard-fought draw.